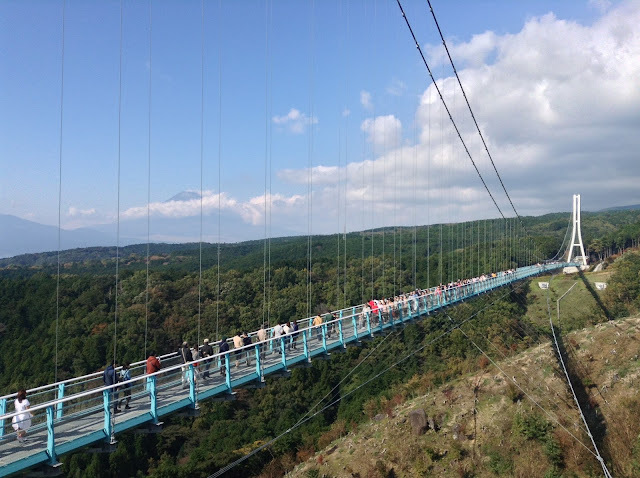 Mishima Skywalk 三島スカイウォーク is the longest suspension bridge in Japan where you can catch aa glimpse of Mount Fuji on a clear day. It was nice but pretty crowded and felt a bit like a tourist trap. 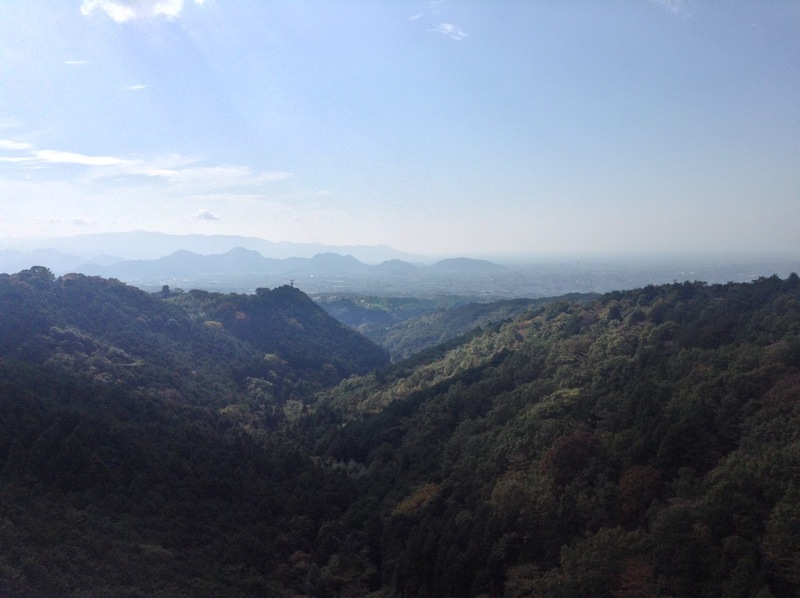 Nice view of Mount Fuji before the clouds started to cover it up. You can also look through the grate and see the valley down below. You probably won't need more than an hour here. At a booth near the bus stop right by Izuhakone Railway's Mishima Station, you can buy Mishimaru Ticket みしまるきっぷ for 900 yen which allows you to take the bus freely in the area (return bus fare to Skywalk alone is normally 1120 yen), like to Yamanaka Castle Ruin Park 山中城跡公園 4 minutes away by bus. 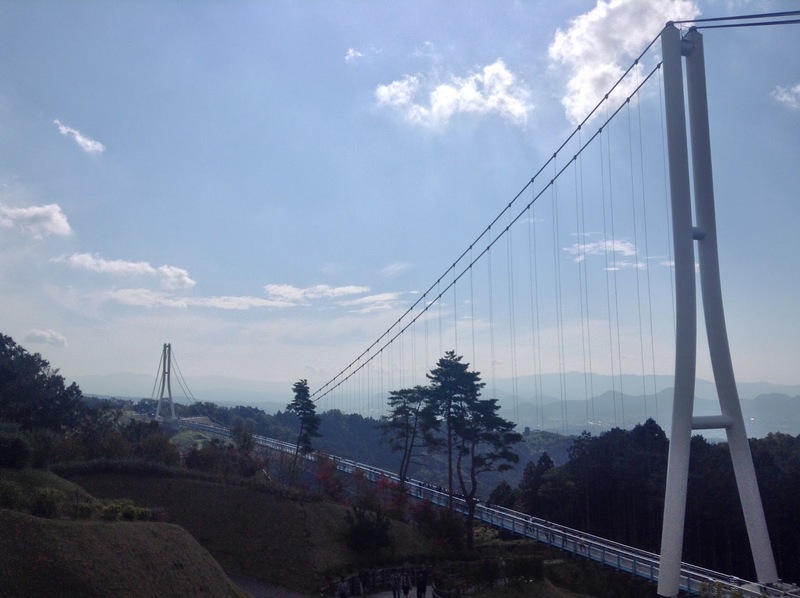 You can also get a set ticket for the bus pass and entrance to Sky Walk for 1800 yen (1000 yen just for admission usually) and you'll have to change that for the admission tickets at the entrance. It takes roughly 30 minutes by bus (2 to 3 buses an hour on weekends and just once an hour on weekdays).